Sutori can only be integrated into your Schoology environment by your administrator (click here to see how). Once the school admin has done the necessary, you&apos;ll notice that Sutori is listed as an app on your dashboard on the left. 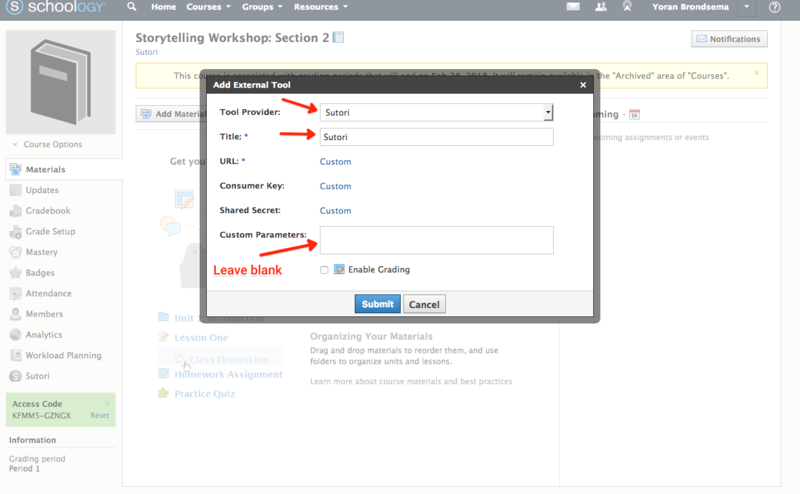 Click on the button for Sutori to load up directly within Schoology. 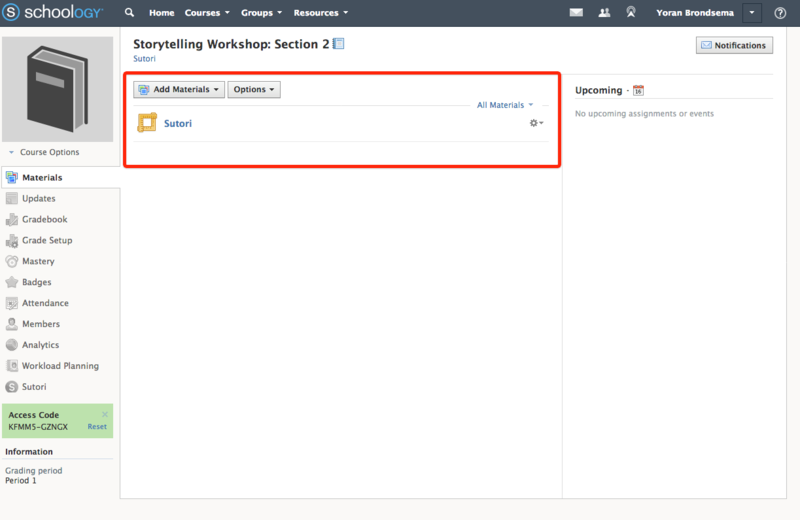 When on a specific course you have set up, you can add Sutori by clicking on &apos;Add Materials&apos; and then &apos;Add File/Link/External Tool&apos;. Select Sutori as the app, add the title Sutori and leave the custom parameters blank. Congrats! 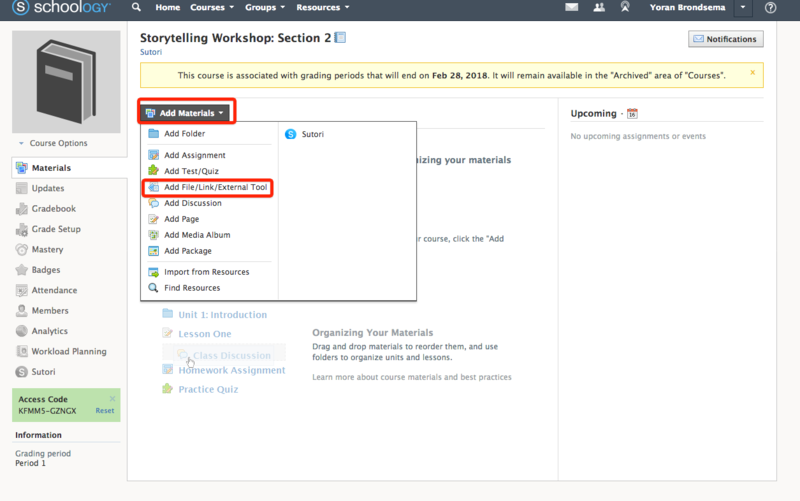 Sutori is now setup as an external tool in your materials for the course. You can repeat the process for as many courses as you wish. 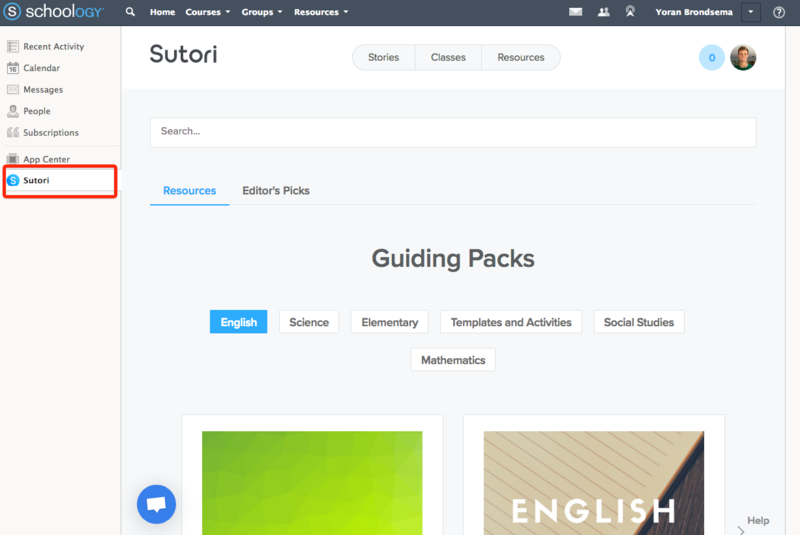 If you&apos;re a school admin, click here for instructions on how to set up Sutori for your organization.